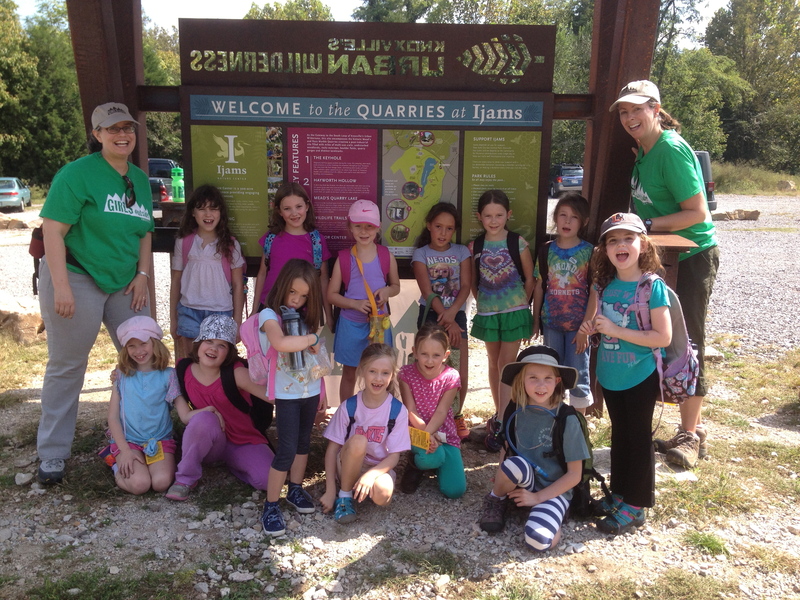 Girls Outside has had many adventures at Ijams Nature Center before — we are pleased to now announce our partnership with Ijams Nature Center to bring you better programming than ever! We, the leadership team of Girls Outside, would like to thank you so much for your past interest and loyal participation in our program that encourages girls to explore the outdoors through hiking to promote physical activity, independence and self-esteem. As we look forward to the fall semester, we are thrilled to announce our new and exciting partnership with Ijams Nature Center! As a result of this partnership, we will continue to offer all-girl hikes for girls of varying ages as well as expanded programming to meet our mission. We are optimistic that this new partnership with Ijams will allow Girls Outside to provide girls in our local community with more exciting opportunities to spend time in nature with women role models. Offering our programs with Ijams will allow us to reach out to more girls and women in our community via their expansive marketing reach and to pursue non-profit grant opportunities together. We will retain everything that is special about Girls Outside as we transition to be “Girls Outside with Ijams”. But, do expect a few minor changes as we integrate our programs with Ijams offerings, such as a new way to sign up. Also, our hikes will now involve a $5 registration fee per girl which will be invested back into our program, allowing us to purchase important things like first aid supplies, extra snacks, shirts for identifying volunteers and more, with a small percentage going to support Ijams’ mission. In the coming weeks, we will provide you with further details on where you can learn more about this new partnership with Ijams, including dates for upcoming hikes. Until then, if you would like to continue to receive emails about Girls Outside with Ijams, as well as other Ijams events, you do not need to do anything. However, if you would not like to receive future notices of these events and outings, we do ask you to please opt out by contacting us at knoxgirlsoutside@gmail.com. Thank you again for your continued support of and commitment to Girls Outside! This entry was posted in Organization Announcement, Uncategorized and tagged Ijams. Bookmark the permalink.